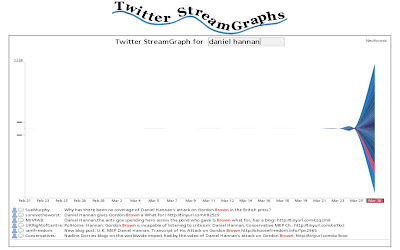 In a little over 24 hours Daniel Hannan has been transformed from an unknown Conservative MEP to a viral internet celebrity - with nearly 1 million views for a speech he uploaded less than 48 hours ago. Whilst the speech gave Gordon Brown a public mauling, it was hardly reported in the UK press. However, video of the speech spread rapidly on YouTube, becoming the most watched video globally yesterday (and there are now 390 comments on his personal blog about this speech.) The virality was also aided by coverage in the US media from outlets like the Drudge Report and Fox News. - Timing. 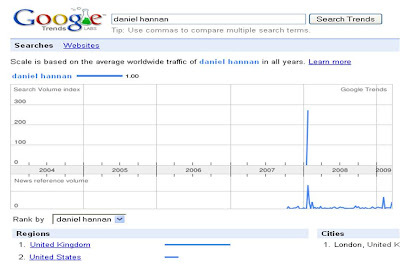 Daniel Hannan's speech has clearly struck a chord with significant numbers of the public, on both sides of the Atlantic. In one moment his speech has become a rallying call and a focus for anyone who is disenchanted with the current state of the economy either in the UK or in the US and with Gordon's US trip + the G20 summit the timing couldn't have been better. I think YouTube is becoming more influential in UK politics, but I'm not convinced that this is a watershed moment. Yes, the way that this video has spread has been fascinating, but I think it is the result of a number of things coming together at the same time - however this time it maybe more luck than judgement? Good insightful post Nick and agree with your points on why it has hit a chord with the YouTube community. On top of that I think it seems natural. It's not like when politicians try to get down with the kids with Twitter and Facebook and fail completely. An element of 'difficult second album syndrome' now - how does he follow that? !